Where do Betenbough Homes employees live? In Betenbough homes, of course! 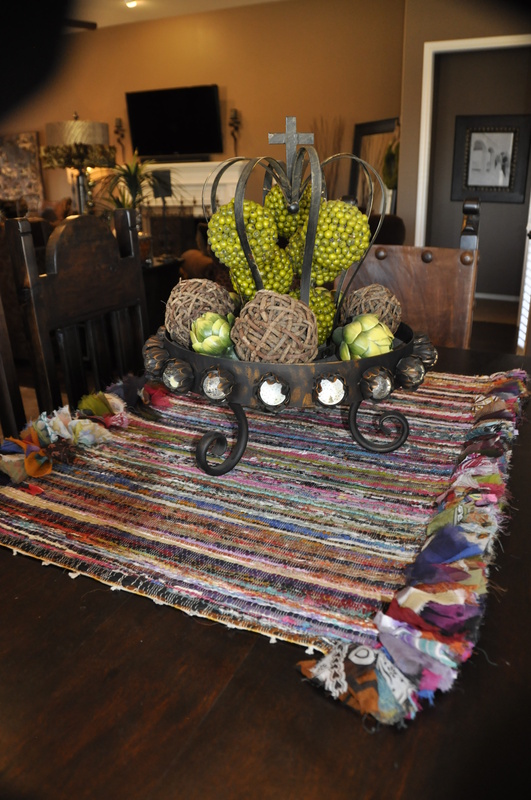 Our employees have done some amazing things in their homes and we wanted to share some of their DIY projects and decor ideas with you in a series of blog posts. 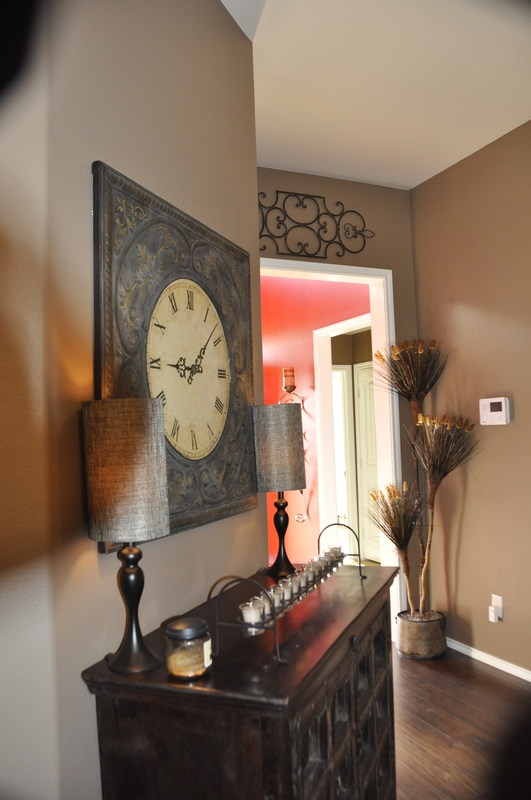 Kalee’s home features an eye-catching entrance. Her living room, kitchen and dining area are full of warm colors and bright accents. 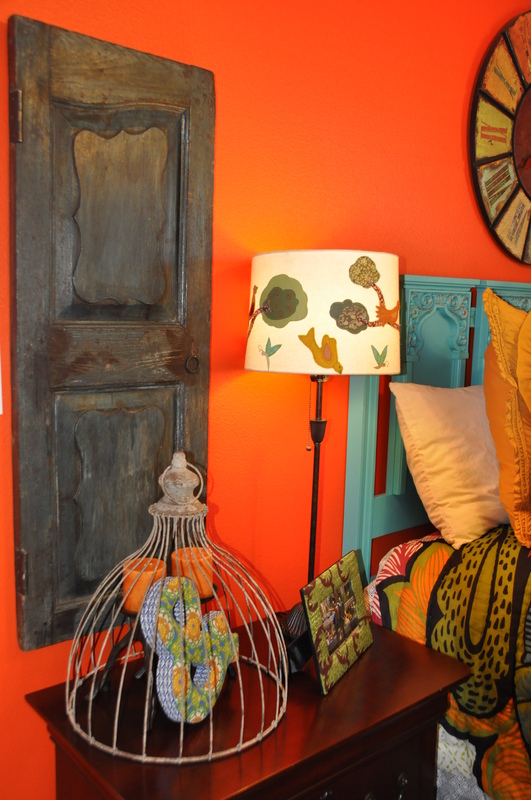 The headboard in one of the guest bedrooms is from Kalee’s childhood home. 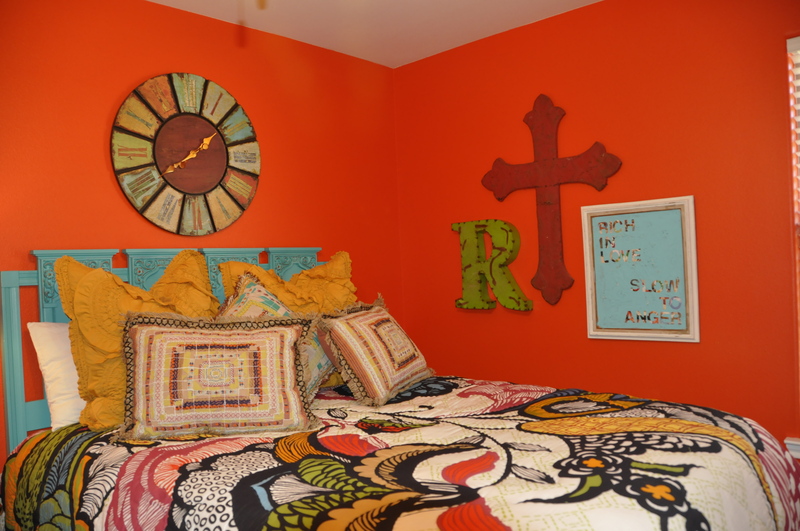 She and her husband painted it to create a focal point in this room. 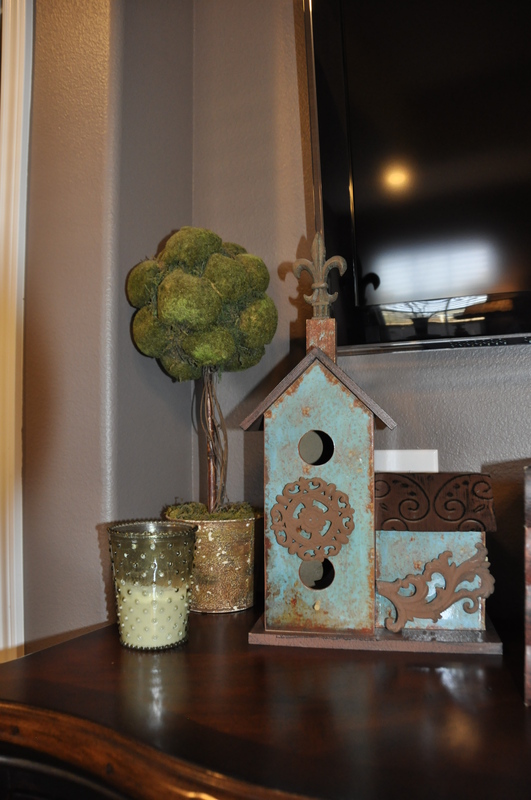 Accent pieces tie the colors together. 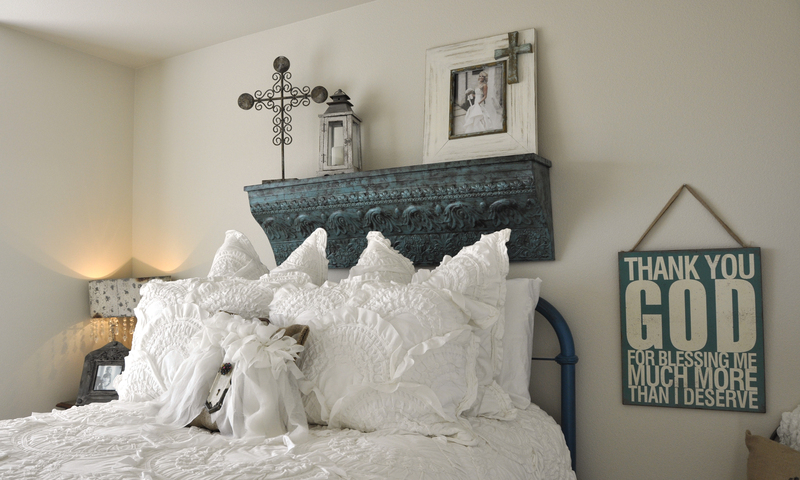 A second guest bedroom features a clean and feminine design. 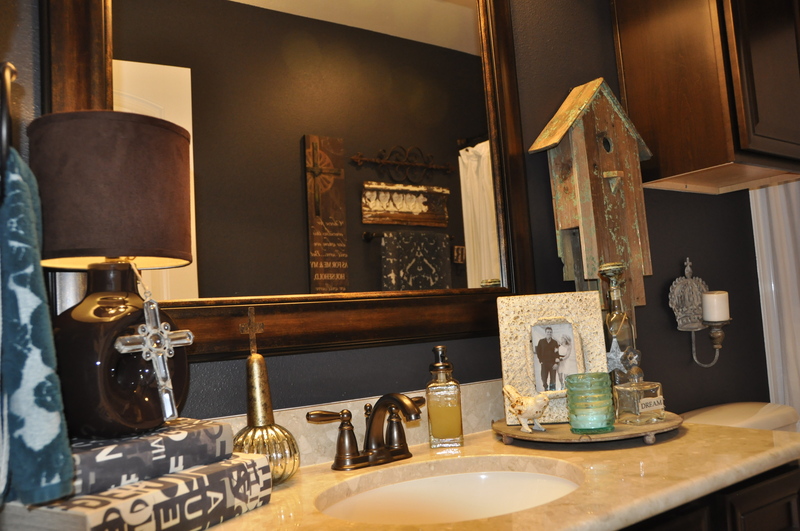 The guest bathroom features navy walls and pieces that create an inviting space. 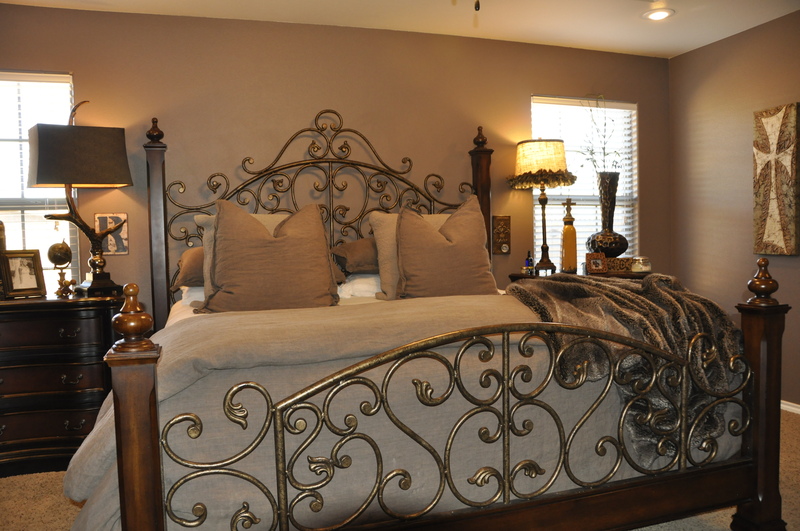 The master bedroom is a personal retreat. Personal photos and decor create a space that is all their own. 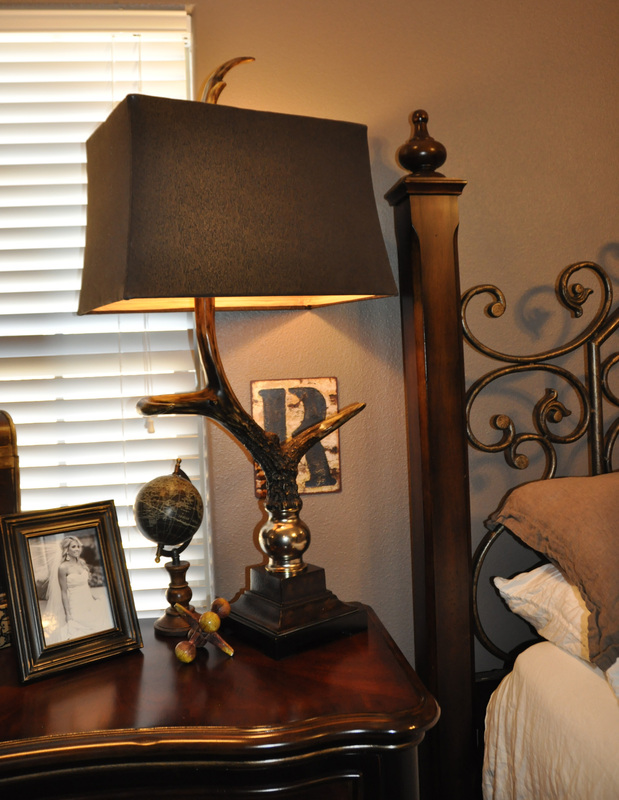 Varying feminine and masculine lamps complement the Rich’s style and a create a sense of contrast in the nightstands. A panoramic shot of the master bathroom. 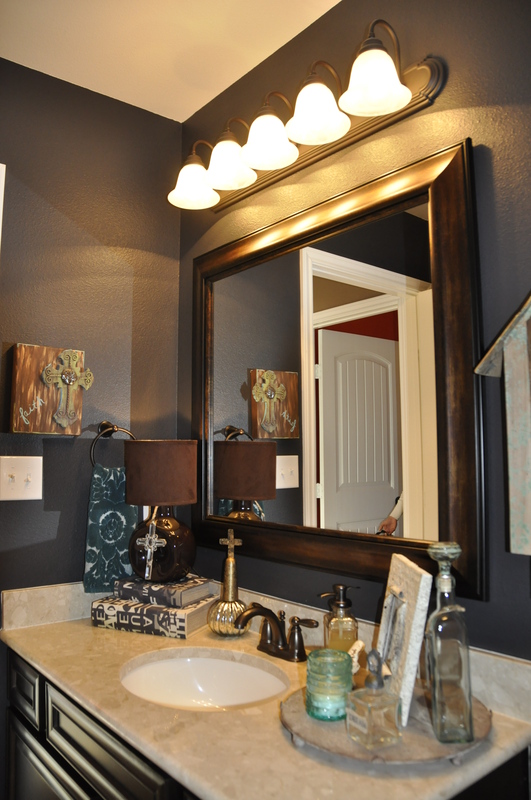 The laundry room also reflects the Rich’s personal style and almost makes laundry look fun! A panoramic shot of the laundry room. 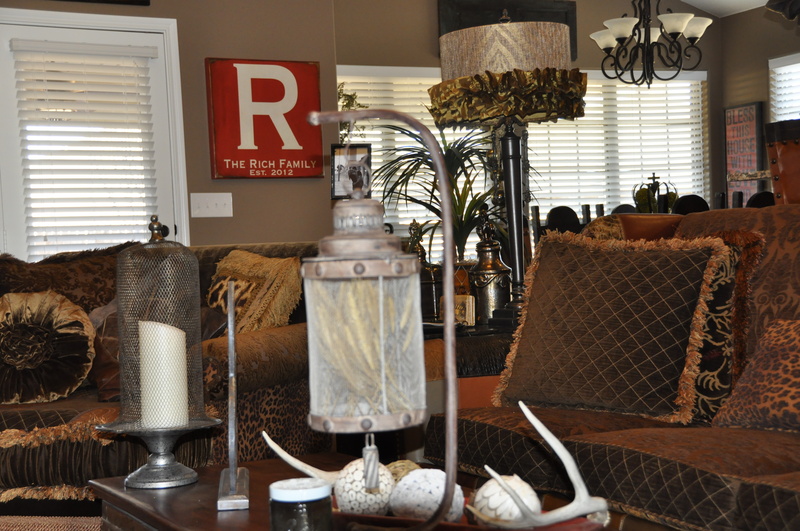 Some of Kalee’s favorite home decor stores are Anthropologie, Miller Waldrop, Restoration Hardware and Coyote Candle. Be on the lookout for the next post in this series!